When it comes to exterior improvement, you should look for three things: high-quality products, dependable services, and excellent customer service. Here at McGuire Roofing & Construction LLC, we make sure that you will get all those and more. 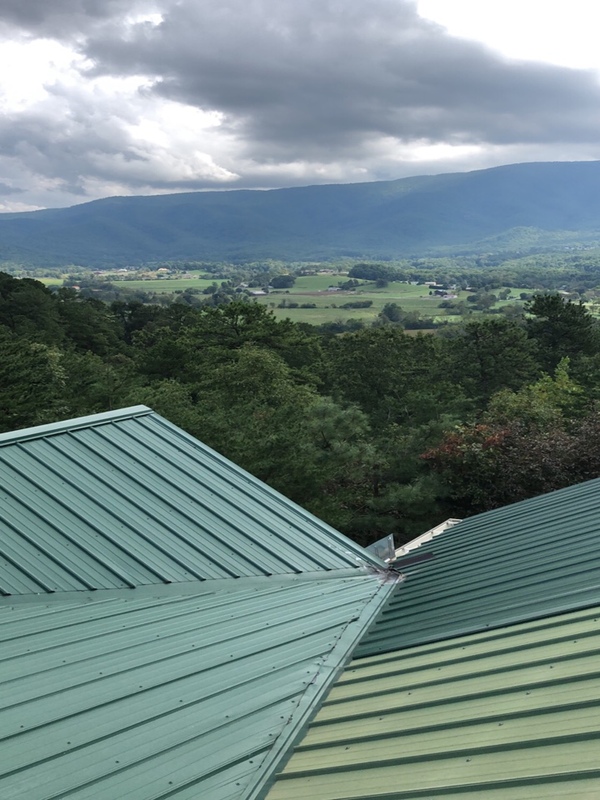 With a history of providing top-quality work in all aspects of our residential and commercial services, you can rest assured that your Sevierville, TN, property will be in good hands. Residential and Commercial Roofing – We specialize in roof repair, replacement, and maintenance. Our expert roof technicians can work on different types of roofing systems including metal and asphalt roofs. Gutter Installations – To ensure that your home or building is protected from water and moisture damage, we provide reliable gutter design and installation services. Siding Replacement – By replacing old siding and installing a new system, you can give your property an instant exterior makeover while protecting it from the elements and making it more energy-efficient. Window Replacement – If you want to further improve exterior appeal, indoor comfort, and energy efficiency, a window replacement project can prove to be a great investment. 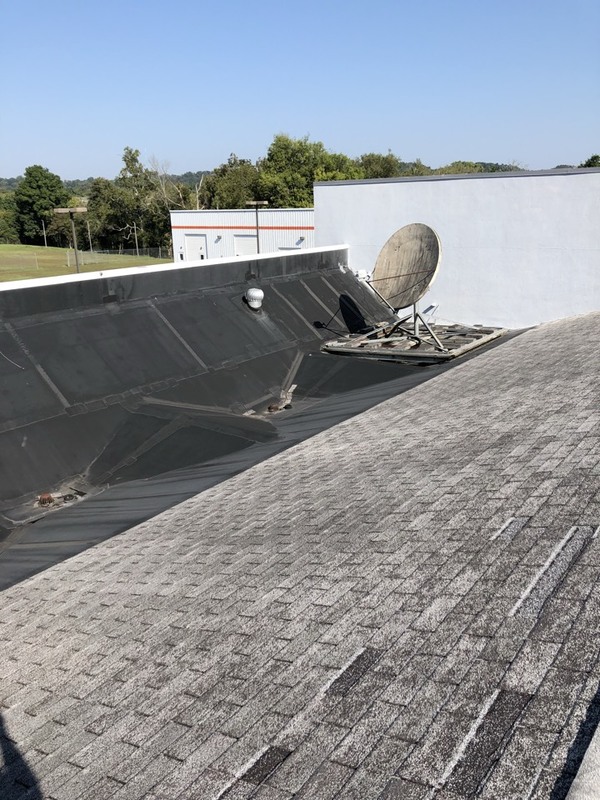 If you want nothing short of excellent roofing and construction services in Sevierville, TN, look no further! Get in touch with McGuire Roofing & Construction today to schedule a free consultation and get a no-obligation estimate. You may reach us by calling 865-338-7663 (865-338-ROOF) or filling out our contact form. Estimating a metal roof replacement. 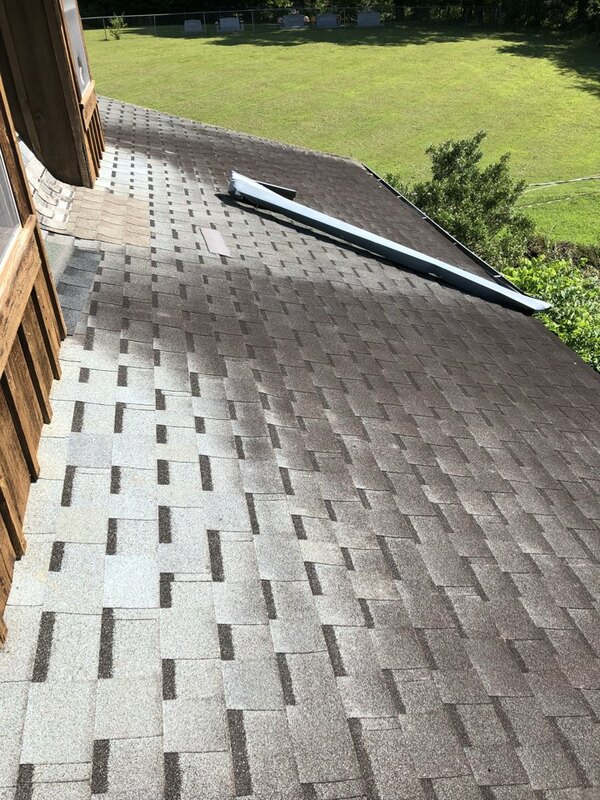 This home owner is wanting to go back with an asphalt roof.